Members of the Hidalgo County Bail Bond Board meet Tuesday, Aug. 7, 2018 in the 430th District Court. A local bondsman who helped bail former Hidalgo County District Clerk Omar Guerrero out of jail five years ago narrowly avoided having his license suspended by paying the county the largest forfeited bond in recent memory. Arnaldo Corpus, owner of Corpus Bail Bonds, paid the county $50,000 Monday, a day before the county’s bail bond board met to discuss suspending the company’s bonding privileges as a result of an outstanding judgement, or court-ordered payment, on the forfeited bond. That judgement was finalized in June when County Court-at-Law Judge Rodolfo “Rudy” Gonzalez denied Corpus’ motion for a new trial after a jury ruled in April that the bondsman was liable for the $50,000 he posted for Guerrero in May 2013, after Guerrero failed to appear for any court hearings. Guerrero was arrested that year on a felony charge of cocaine possession and a misdemeanor charge of tampering with the identification of an assault rifle. Given his history of fleeing to Mexico to avoid criminal charges, a justice of the peace set his bond at $1.05 million — $1 million on the felony and $50,000 on the misdemeanor. 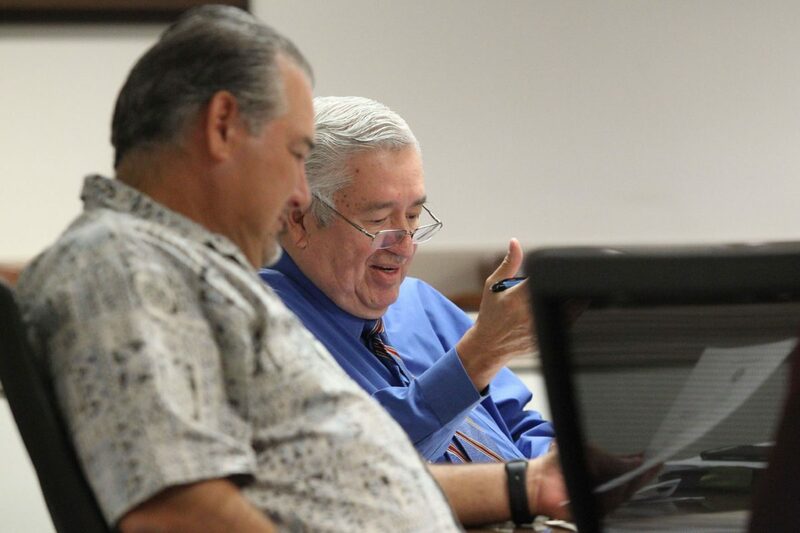 State District Judge Israel Ramon Jr., left, and Hidalgo County Clerk Arturo Guajardo Jr. discuss an agenda item during the monthly Hidalgo County Bail Bond Board meeting Tuesday, Aug. 7, 2018, in the 430th District Court. That turned out not to be the case. Following the June 5 finalized judgement, he had 30 days to pay the misdemeanor bond or risk losing his ability to write bonds. “It was a positive outcome and the process worked as it should,” said Assistant District Attorney Eric Schreiber, the prosecutor in the forfeiture trial. Schreiber said the Hidalgo County District Attorney’s Office has relatively few bond forfeiture cases that date as far back as this one, which he attributes to District Attorney Ricardo Rodriguez making “a concerted effort to clear out all the older, pending bonds,” noting that the DA’s office has cleared approximately 95 percent of forfeiture cases that were more than five years old. One such outstanding case that could head to a bench trial, a trial by judge, also involves Corpus Bail Bonds, along with three other bail bond companies, all of which contributed toward the $1 million bond on Guerrero’s felony charge. Schreiber and attorneys for all four companies will be in court later this month for a status hearing, during which both sides will present case law to District Court Judge Noe Gonzalez in support of their arguments. 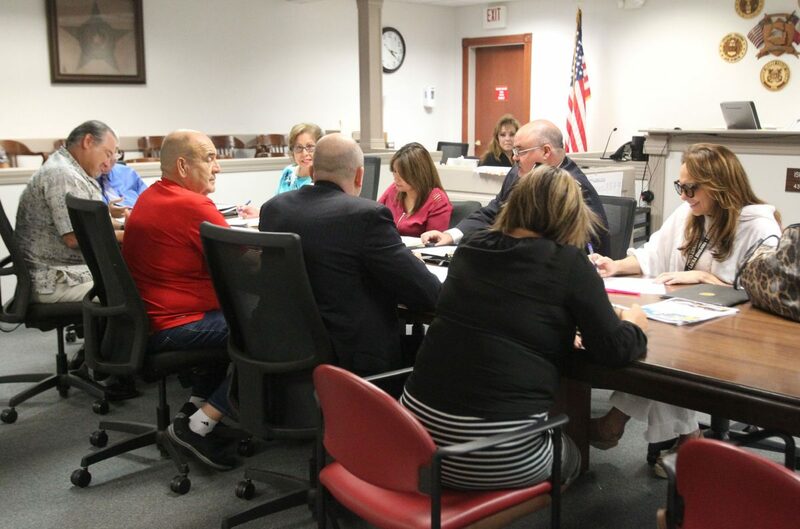 “(The judge) may give us time to review case law and see if we can come to any agreements and we’ll go from there,” Schreiber said as to the likelihood of the case becoming the next forfeiture case to head to trial.